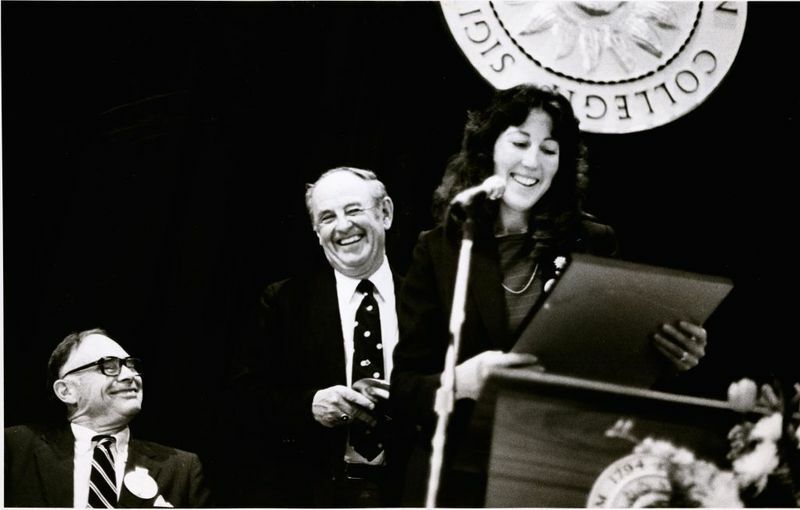 Left to right: President A. LeRoy Greason, Walter S. Donahue, Jr. (Bowdoin College Class of 1944) and Deborah J. Swiss (Bowdoin College Class of 1974), Commencement 1982. Deborah Swiss, president of the Alumni Council, is presenting Walter Donahue with the Alumni Service Award. Donahue, Walter S., Jr.|Swiss, Deborah J.